The Novation Impulse 49 Note USB/MIDI controller designed to be the main control centre of your studio and music creation. The Impulse controller is designed to work with your music making software, controlling the software’s mixer, instruments and effects. 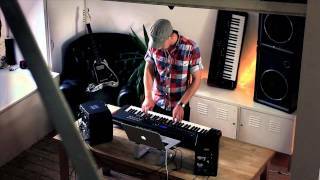 The Impulse from Novation includes Automap 4, Novation's improved controller software. Automap 4 is now more simple and easier for DAW and plug-in assignment, making the Impulse work in harmony with your chosen software. The Impulse keyboard is fitted with a Semi-Weighted keybed and aftertouch, which is ultra-responsive and can adapt to your playing style. The Impulse controller also features eight drum pads with multi-coloured LEDs, eight rotary encoders, full transport control, nine assignable buttons and nine faders. The large LCD screen on the Impulse keeps you informed of every operation. The drum pads on the Impulse can be used to trigger clips in Ableton Live's session view; illuminating yellow if a clip is loaded, green if it is playing and red if it is set to record. They can also work in different modes, such as following the pattern of Impulse's on-board groovebox-style arpeggiator/step sequencer. The USB powered Impulse will be a true asset to any studio environment and perfect for all types of producers and musicians. Considering purchasing the Novation Impulse 49 ? Have questions? Ask people who've recently bought one. Do you own the Novation Impulse 49 ? Why not write a review based on your experience with it. This is a fantastic keyboard and i think it is one of the best keyboards out at the minute, the LED's are good, the arp and roll mode are a fantastic feature that you don't get on a lot of MIDI's and the screen tells you what ever button you press does which is what i think a fantastic idea! But i have had a problem with one of the LED pads flickering on and off whilst in arp mode. 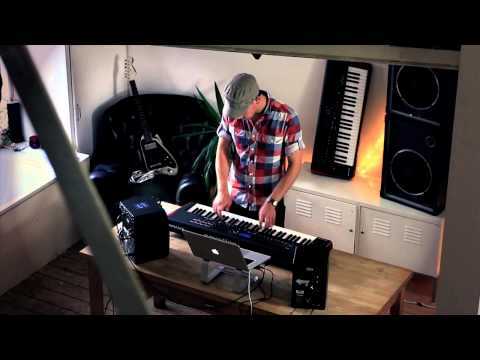 Seen a video for Novation Impulse 49 online or have you own video? You will earn 468 loyalty points with this product worth £1.17, when logged in. Check out Novation Impulse 49 on DJkit.com!